Players take turns to throw the 3 discs from a distance, aiming to land them on the large 3m diameter target mat. 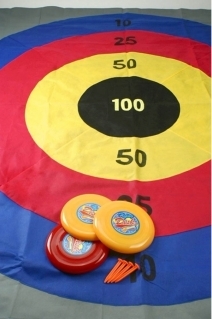 Points are scored according to which ring of the target your discs land on. Not suitable for windy weather.